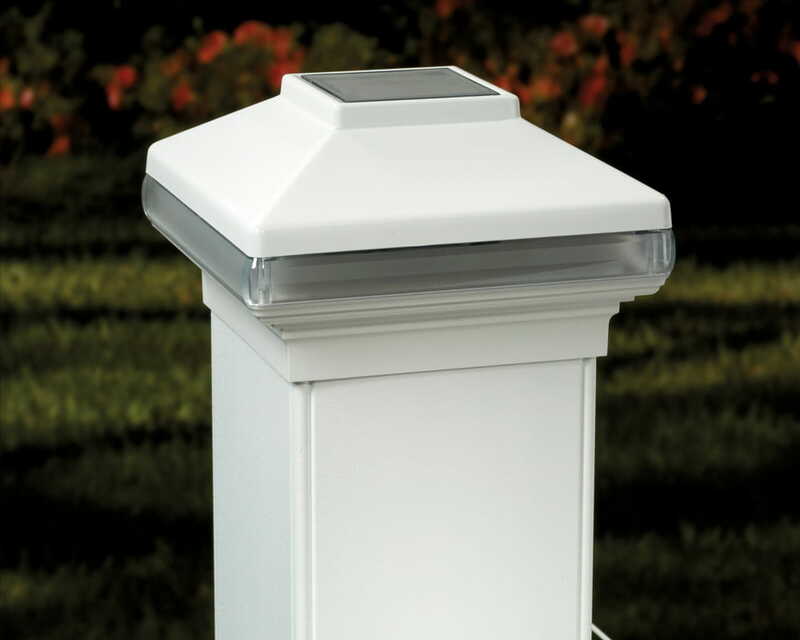 Versatile adjustable wireless post cap light fits most posts. 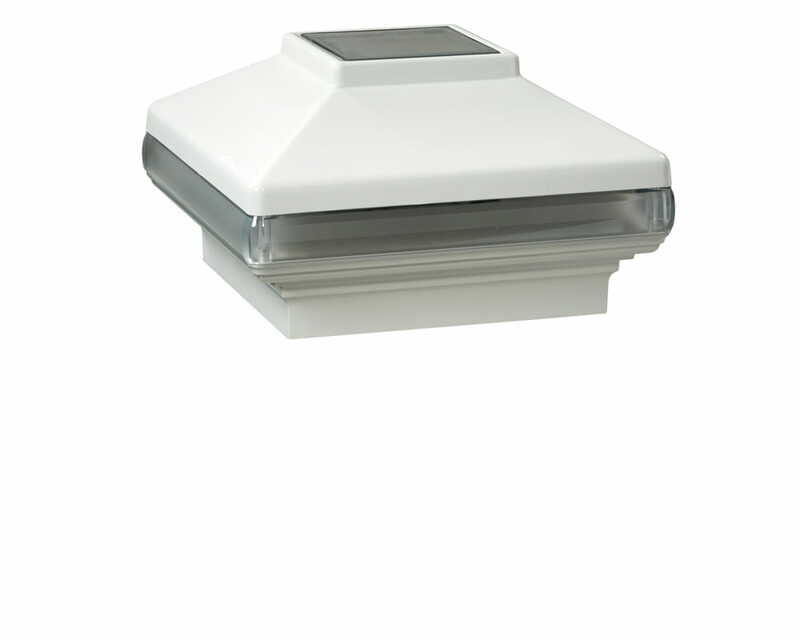 If your railing has multiple post sizes, our Solarband VersaCaps are a handy solution. 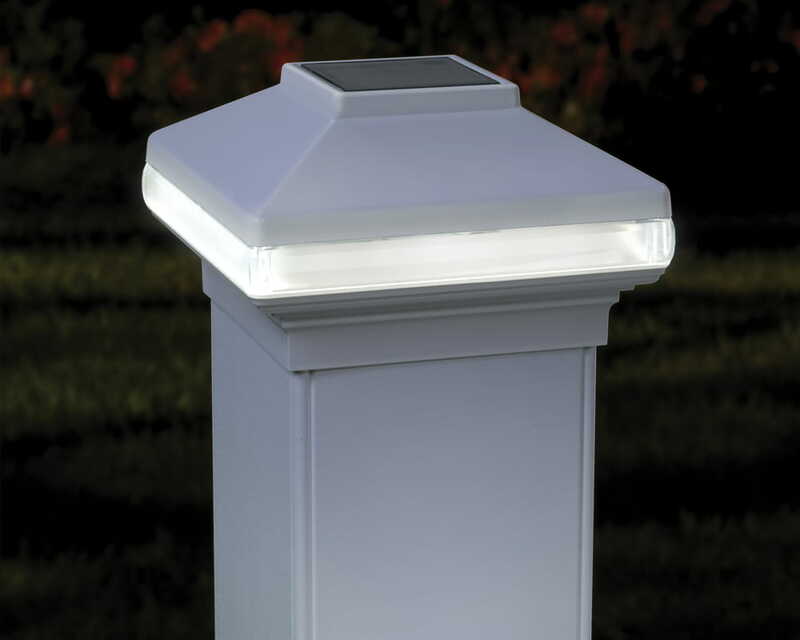 Not only do they provide wireless LED lighting with a modern design, they adapt to fit most rail posts made of wood, vinyl or composite; and work with most leading post sleeves on the market. 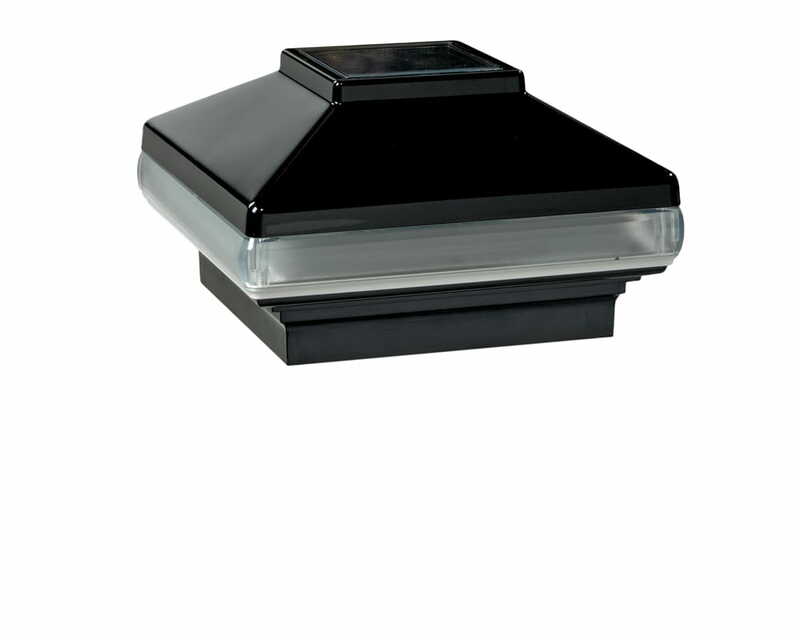 Set includes 3 bracket inserts nested inside the base. 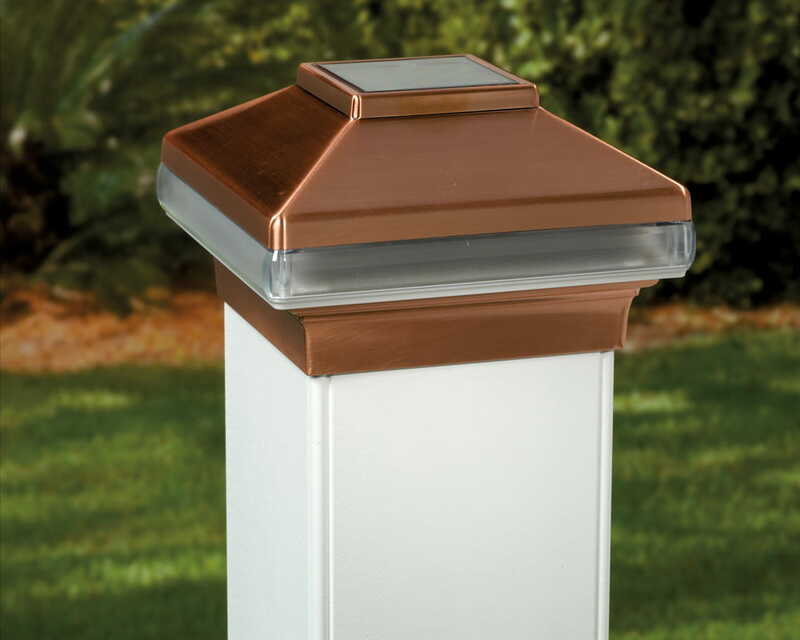 Depending on the number of inserts used, the post cap fits most posts ranging from 3-1/2" x 3-1/2" to 4-5/8" x 4-5/8". Rechargeable batteries also included. 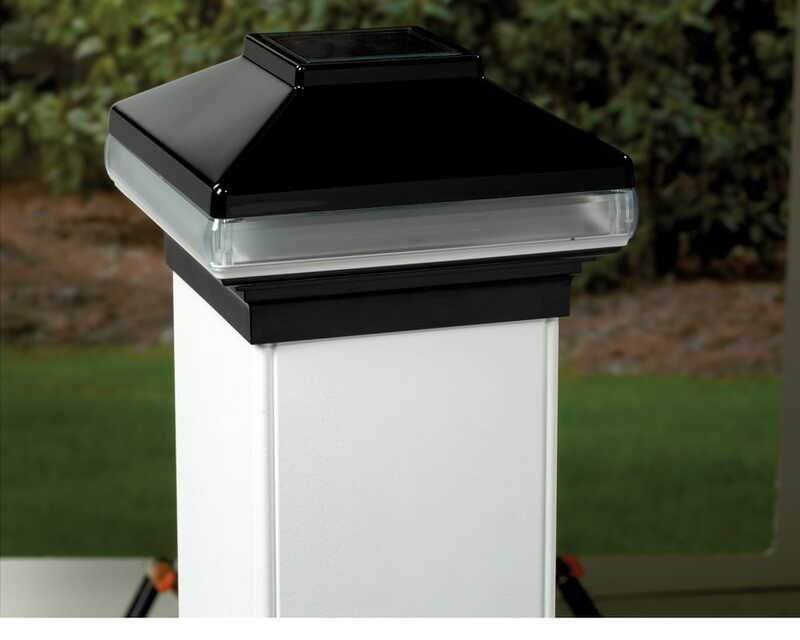 No, the solar post cap light is designed to be used with rechargeable batteries. If regular batteries are used in the sun, they will destroy the solar collector. 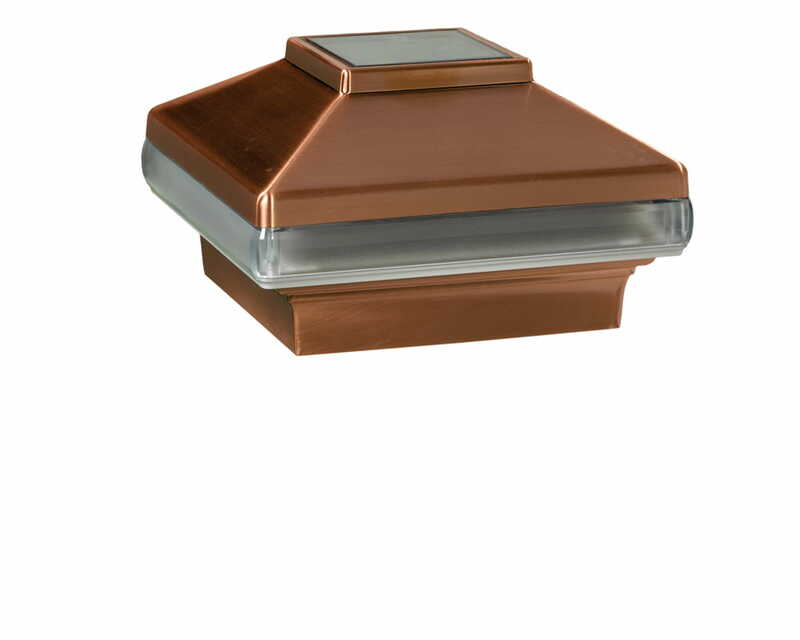 We do have Solar Collector Replacement Units available. 4 in. x 4 in. 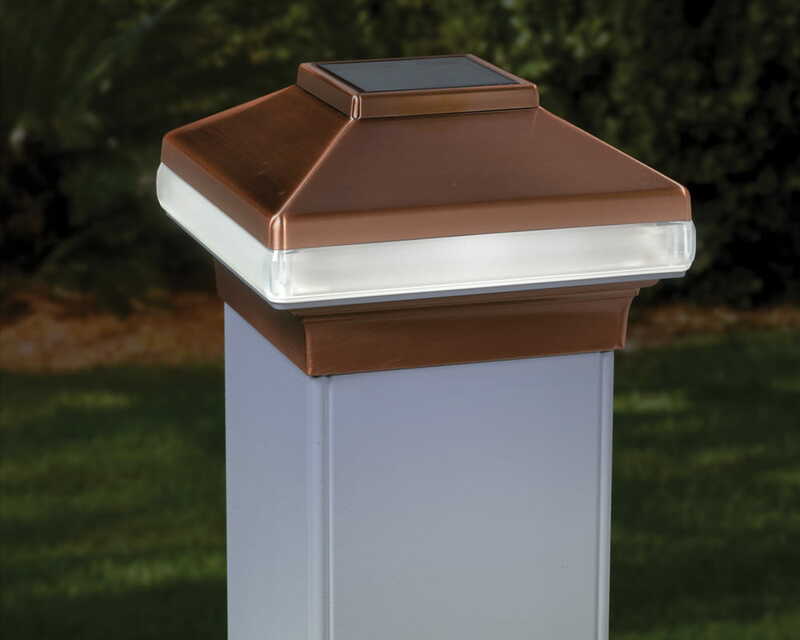 Deckorators solar post caps are backed by a limited warranty. 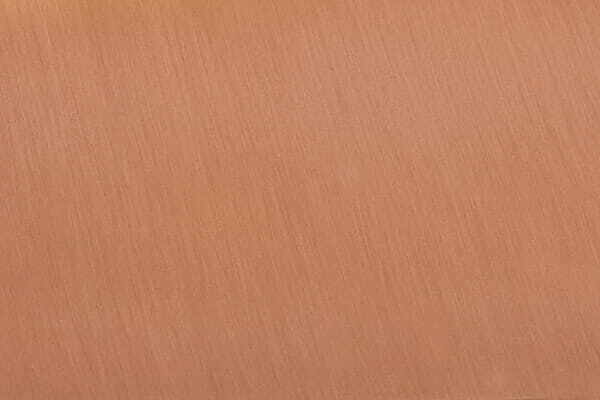 For details, please see the Post Cap Limited Warranty.